The school believes that physical strength reflects in mental strength encourages students to participate compulsorily in sports activities. 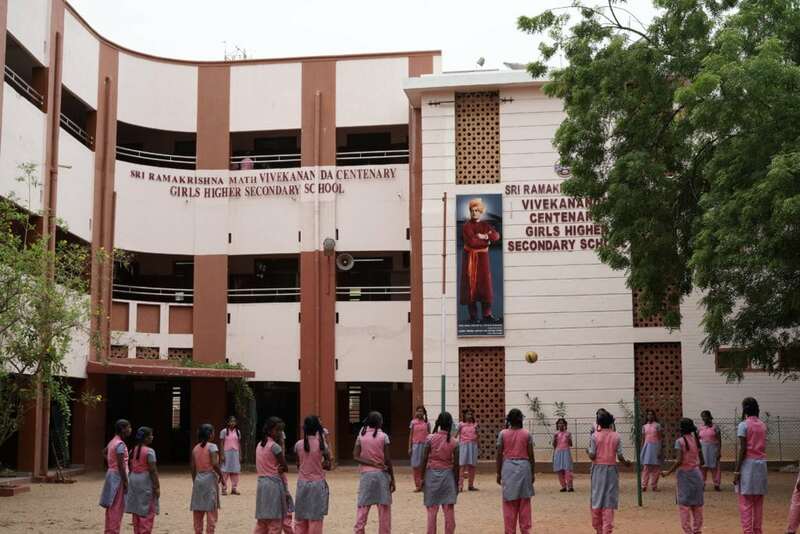 The School campus has a spacious ground for the children and every week some periods are allotted for sports activities. 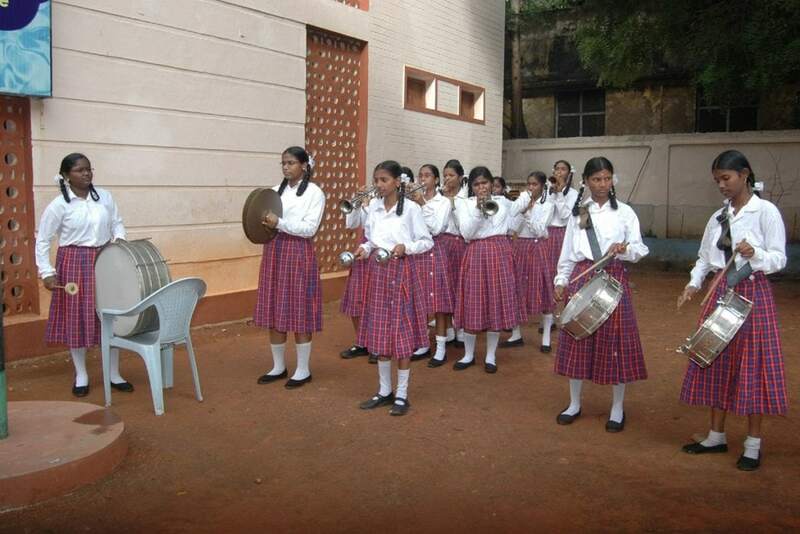 Music training is imparted to students at all levels with the help of class teachers. During these classes, students are taught devotional and patriotic songs. The students participate actively during the class. In a world filled with career choices ranging from medicine to mass communications, engineering to event management, marine biology to information technology, the confusion teenagers face over which career to pick is understandable. A large number of students continue to choose a career based merely on the fact that their friends are doing the same thing or because their parents told them to do so. This, however, may not be the best way to go about it. Choosing a field of study that is not suited to the student’s interests or skills could prove disastrous. And that’s where career guidance comes in. Career guidance helps students discover their true potential and interest in various subjects in order to help them choose the right career. The ultimate aim of “Career guidance” program is to promote career education and create awareness among the student community, thereby bridging the gap between school and the world of work. 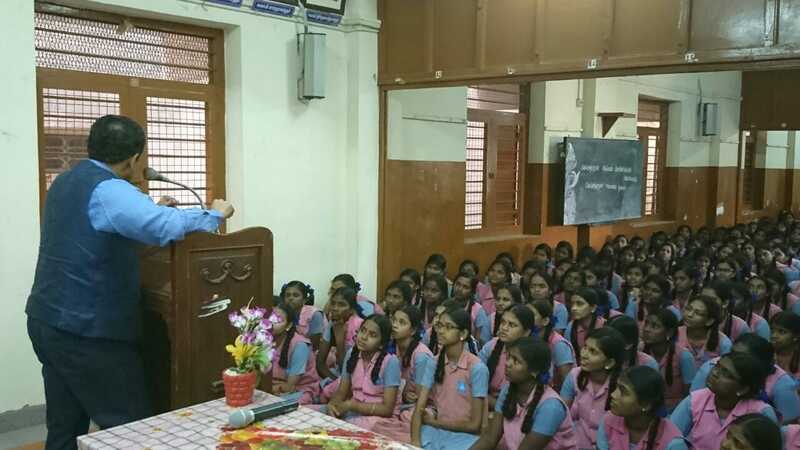 We regularly organize Career guidance programs for Class X and XII students who are in a dilemma to decide on a profession. Our program elaborates the career opportunities and guides them in choosing a right career path. vii) How to get information about the courses? viii) What should the students do? ix) How to prepare for examinations? 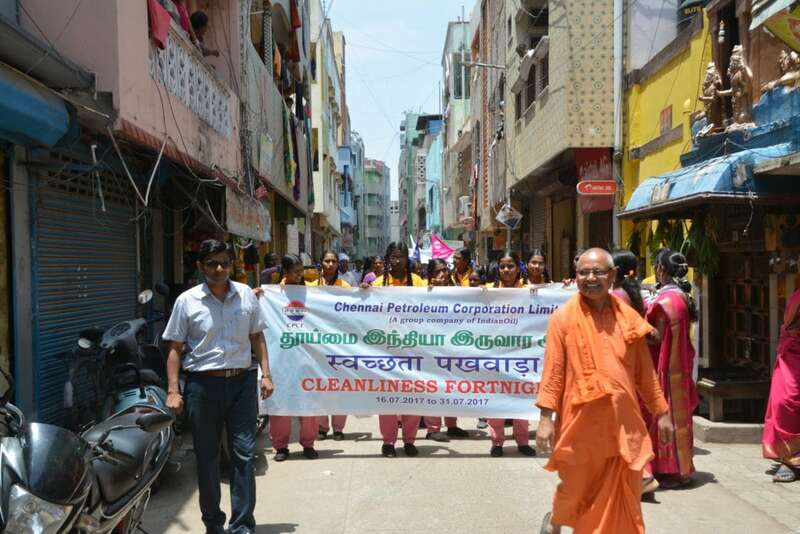 The Tamil Literary association performs its functions every year in a grand manner. The aim of the association is to identify the oratory and other individual skills among the students and encourage them. Every year the association carries out its activities under a working committee that is formed with teachers and student representatives. During the functions, the association arranges talks by distinguished guests and prominent orators for the benefit of the students. The aim of the association is to bring out the talents and abilities of the students enabling them to compete in the fast growing world. 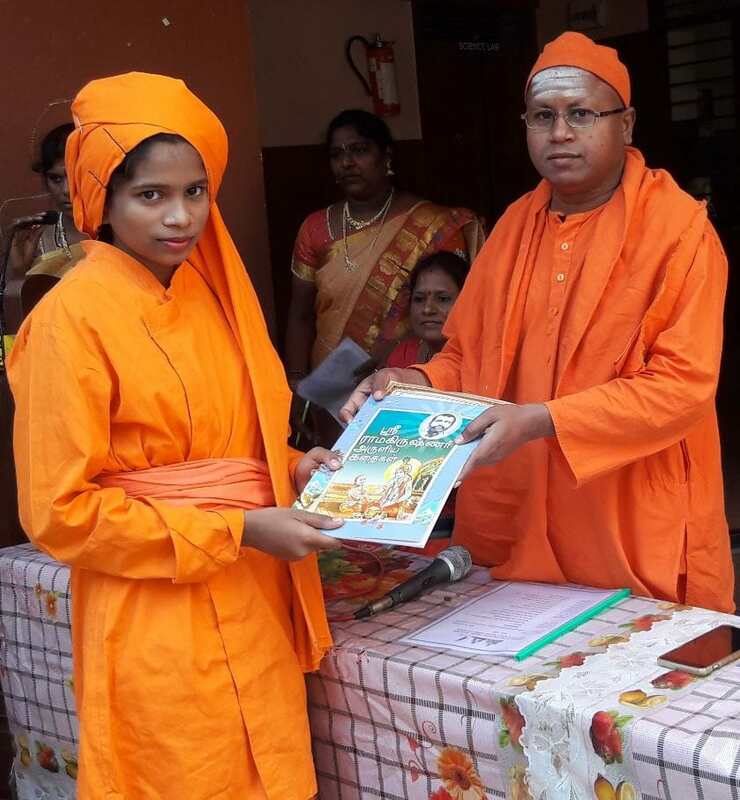 The association conducts competitions – Oratorical, Essay writing, Recitation of the Sayings of the Holy Trio, Quiz, and Fancy dress. The students participate in these competitions enthusiastically and the winners are awarded prizes as an encouragement. This year, being the Golden Jubilee Year variety of programs were organized. The association celebrates national functions like Independence Day, Children’s Day and Republic Day. 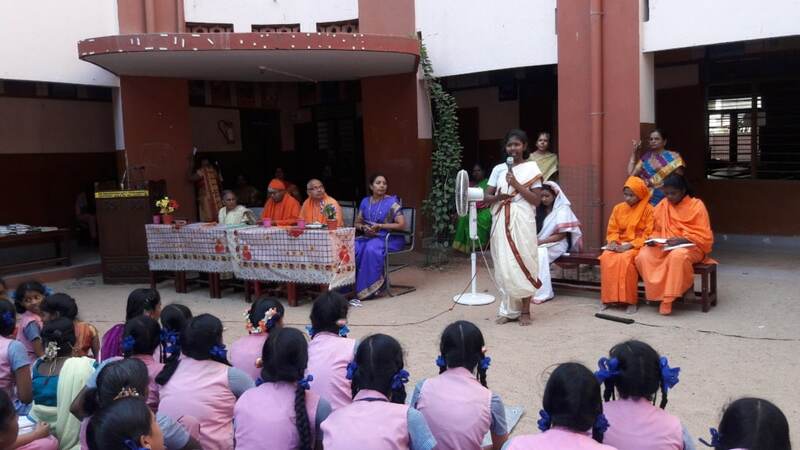 Students deliver powerful speeches about national leaders followed by cultural programs like singing devotional songs and classical dance during these functions. 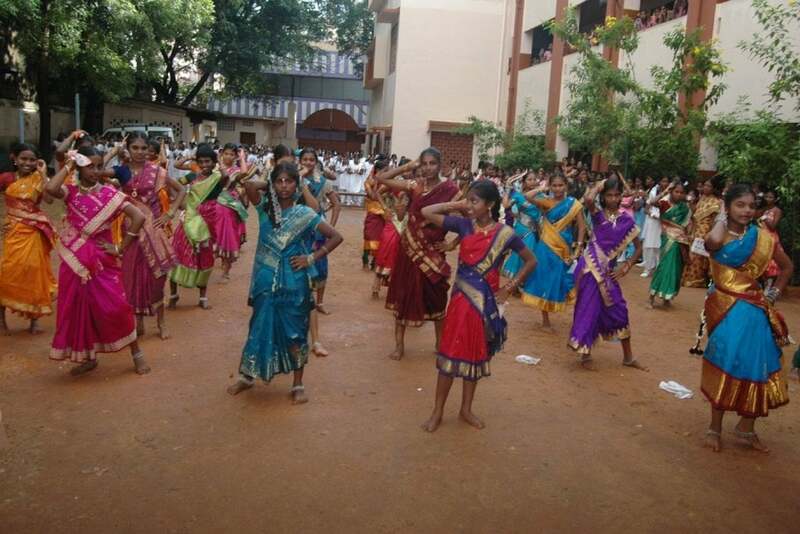 Students are trained for the inter-school competitions by the association. This enables them win prizes and bring laurels to the school. English Literary Club provides an opportunity for the students to exhibit their talents. Competitions like Quiz, Debates, Essay and Oratory are held every year by the club in the school. 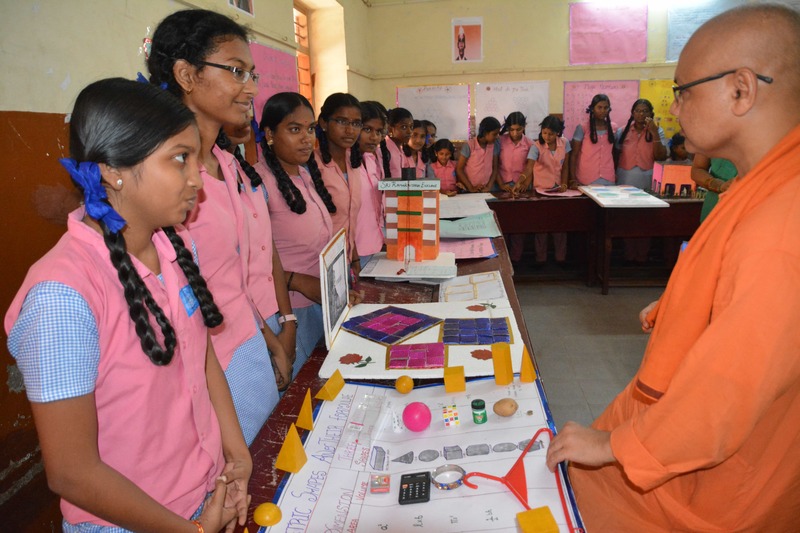 The students are also trained for such competitions at the inter school level. Special training is provided to bring out the communication and eloquence skills of the students. 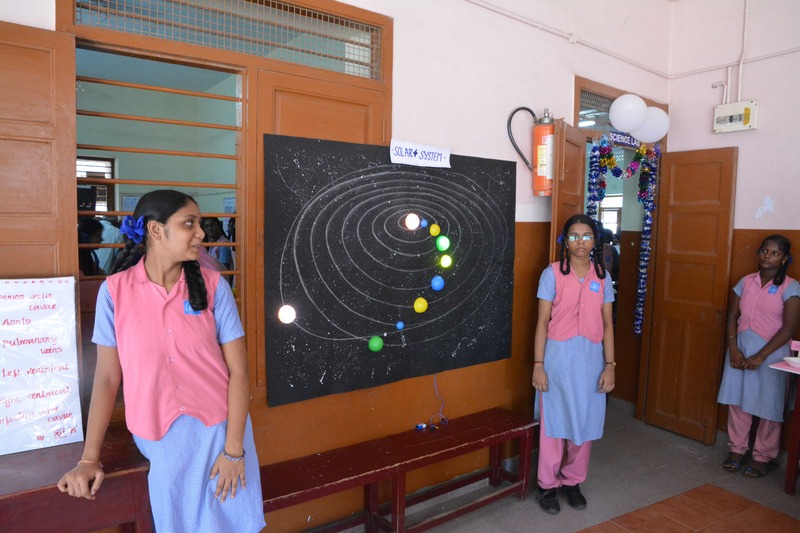 The Science club activities are held every month. 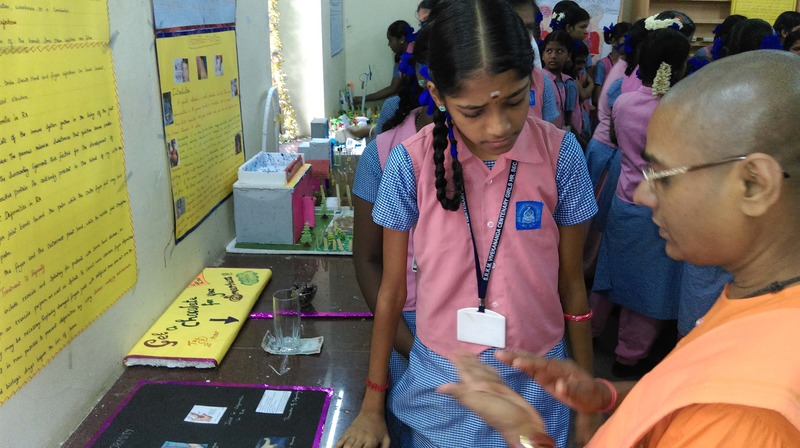 The science teacher gives option to each of the student to choose a topic of their interest on a rotational basis. The selected topic would then be discussed with each student providing her input to the discussion. 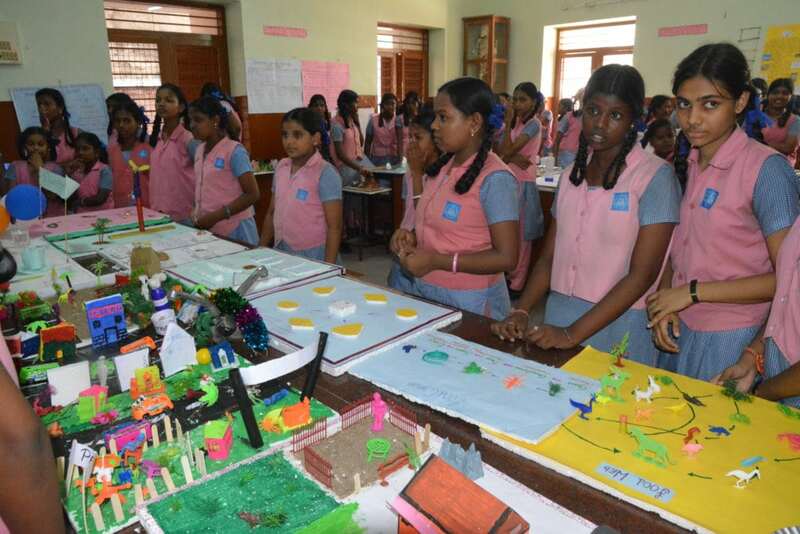 Working models and group activities would be done by the students under the guidance of the teacher. Science club activities help the students to bring out their hidden knowledge helping them gain experience for their future. The Mathematics club is the place where students learn and explore mathematical concepts and verify mathematical facts through a variety of activities. Students of Class VI to XII participate in the activities of the club that includes monthly quiz competitions and puzzles. Exhibitions will be conducted in our school campus. Mathematics Projects are assigned to students based on the syllabus. Students are encouraged to collect information about great mathematicians. i) Collecting ancient cultural heritage samples like coins, pictures of ruins of Mohenjo-Daro and Harappa cities. ii) Collecting pictures of ancient popular temples and make an album of it. iii) Preparing models of temples and important cities. iv) Conducting debates and oratorical competitions on topics of our Cultural Heritage and how to preserve them. v) Pictures of environmental pollution and how to control them are collected and paste them into charts. vi) Conducting mock elections for school pupil leader as well as class leaders on the basis of our countries election process methods. Students are asked to make the models of renewable resources like a windmill; model globe, collecting various countries currencies, names and their current exchange rate viz. Indian rupee. The purpose of Girl Guides is to develop inherent potential of the young people by providing them a number of structured activities and make them physically, mentally, emotionally, socially and spiritually strong and useful citizens to the nation. The main theme of Girl Guides is ‘Learning by Doing’. Girl Guides encourages team work through the patrol system. Each patrol is a small group of six to eight guides. This forges friendship, provide scope for self expressions and promote joint and individual responsibility. The aim is achieved through a combination of activities offered at the unit level. 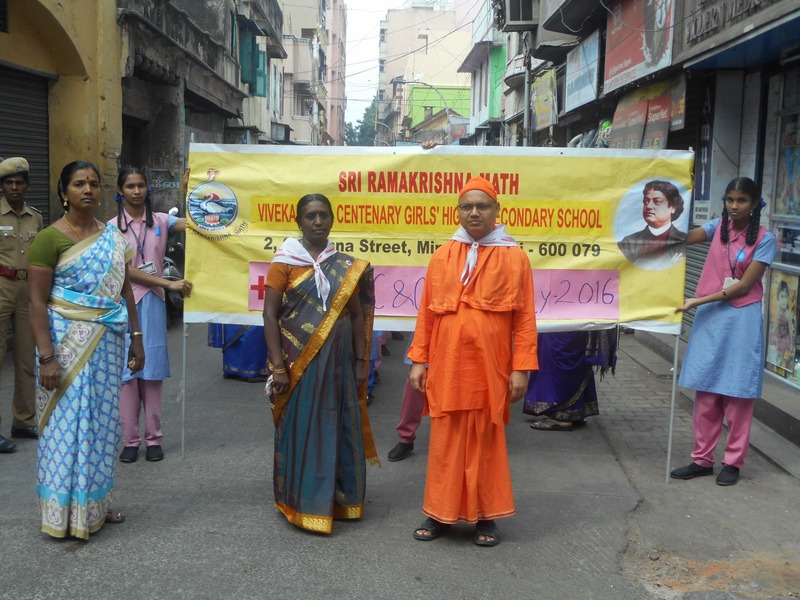 Our unit consist of 32 guides who participate actively and serve effectively in all the school functions fulfilling the aim of the Girl Guides namely to do qualitative, quantitative and visible way of work. The main objectives of Red Cross society are – Health, Service and Friendship. In our school, about 90 students are registered as members of the Junior Red Cross. The students perform admirably during the Independence Day, Republic day, School day, Sports day, Holy Trio day functions organized by the school.